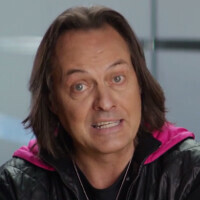 T-Mobile announced this morning that it is adding more providers to Music Freedom and Binge On. The former is the feature that allows T-Mobile subscribers to stream music without using their own data. The latter allows the carrier's subscribers to view streaming video without using any of their own data. With the expansion in the number of providers, more than 100 services are now available to T-Mobile customers to stream without it costing them even 1KB of their personal data. Among the new streamers joining Music Freedom are Amazon Music, Chilltrax, ESPN Radio, OHIO.FM, PreDanz and Uforia. New Binge On offerings include Dailymotion, EPIX, Nickelodeon, Spike, and TV Land. All of these services start streaming for free, today. Overall, there are 40 providers streaming free for Music Freedom and 60 for Binge On. According to figures from T-Mobile, customers have streamed 90 billion songs since June 2014 when the service was introduced. Currently, 210 million tunes are being streamed every day by Music Freedom users without dipping into their monthly data pool. Binge On users have watched over 190 million hours of streaming video without it counting against their monthly data allowance. Overall, T-Mobile customers using Music Freedom and Binge On have saved over 350 petabytes (350 million GB) of data with Music Freedom and Binge On. And that number will only get higher. I love Binge On. I was watching baseball all day yesterday without using any data. Amazing. I didn't realize Google Play Music was on the list. That's the deal maker for me. I'm on a $30 plan with T-mobile but between the videos and music now, $40 makes more sense for less gb stress.